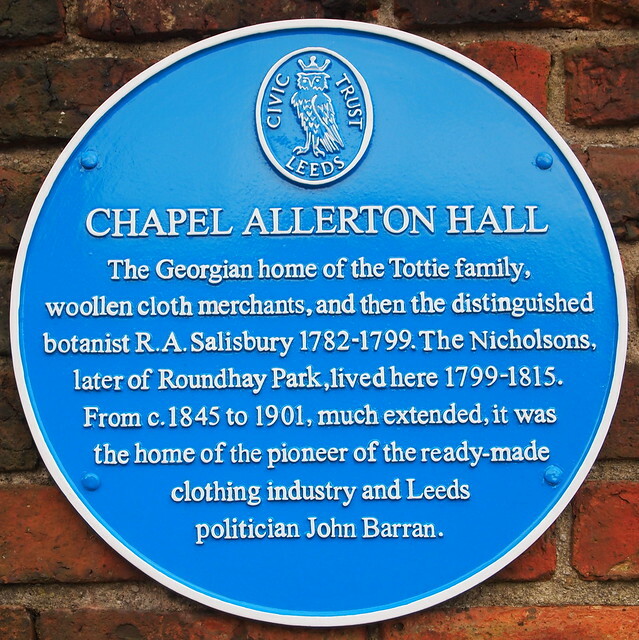 Chapel Allerton Hall. 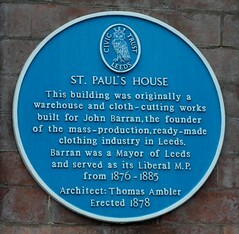 The Georgian home of the Tottie family, woollen cloth merchants, and then distinguished botanist R. A. Salisbury 1782-1799. 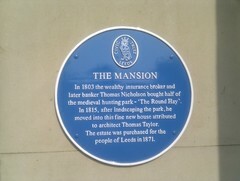 The Nicholsons, later of Roundhay Park, lived here 1799-1815. 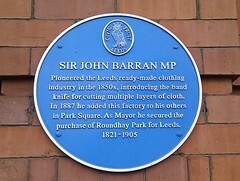 From c.1845 to 1901, much extended, it was the home of the pioneer ready-made clothing industry and Leeds politician John Barran.